Lost Dutchman RV resort in Apache Junction, Ariz.
PHOENIX, ARIZONA (July 6, 2017) – The largest recreational vehicle park in Apache Junction, Ariz. – Lost Dutchman RV Resort – recently sold for $34 million ($46,575 per space). Russ and Andrew Warner of NAI Horizon’s Manufactured Housing Group represented the seller, PVC Properties, Inc., of San Diego, a California corporation, in the transaction. 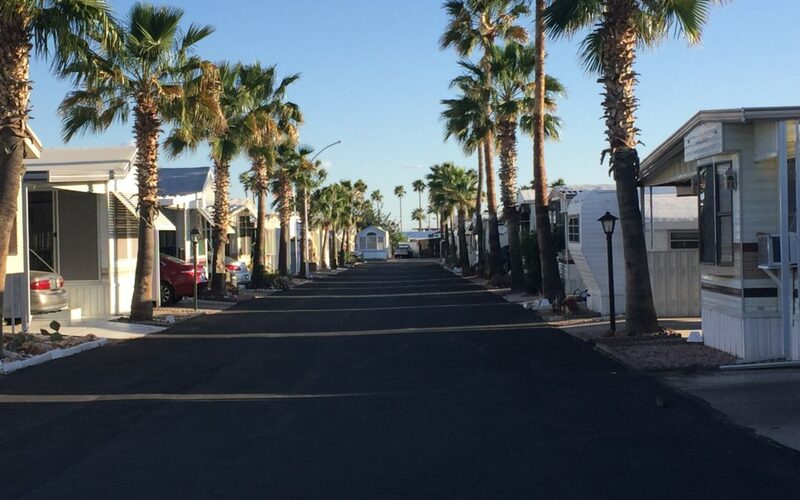 Lost Dutchman RV Resort, 400 N. Plaza Dr. in Apache Junction, comprises 730 spaces, more than 93 percent of which are occupied by permanently affixed, park model homes. Amenities of the park include a guard-gated entrance; two swimming pools, a Jacuzzi, a large recreation building and social hall for meals, dances, and entertainment; and exercise and arts and crafts rooms. The principals of the buying entity, Spear Group, LLC, of Arizona City, Ariz., own nearly 2,400 RV and mobile home spaces in Arizona.